Make the earth on the moon! 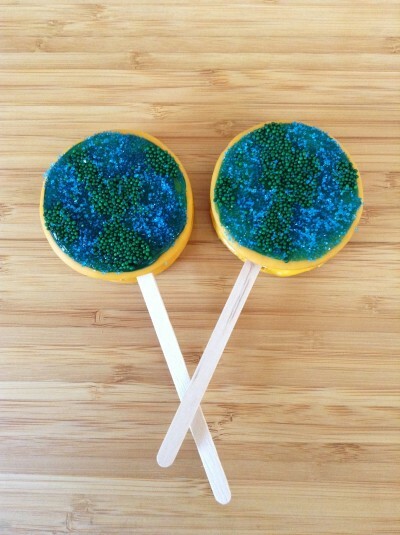 This is a simple edible craft for Earth Day using Moon Pies and some sprinkles. Kids will love making and eating these.